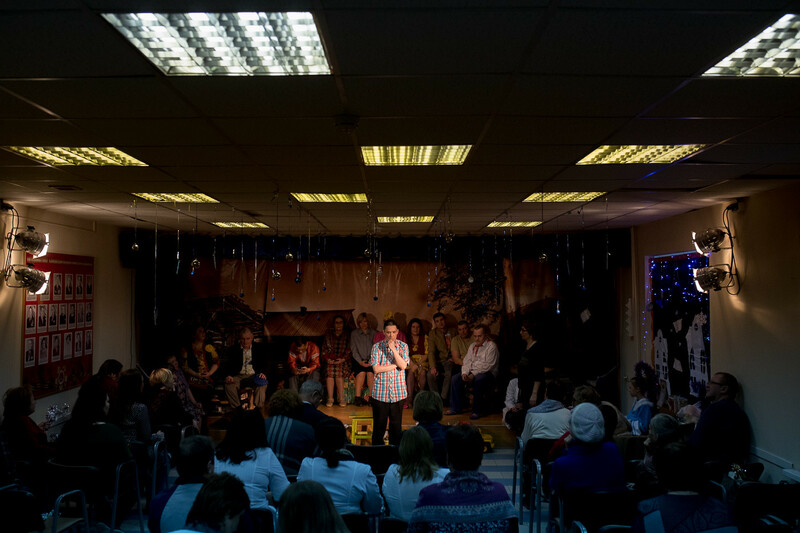 Have you ever watched a staging of Chekhov where all the roles are played by patients at a psychiatric hospital? In the Russian city of Samara, it’s possible. Those who have seen people with mental disabilities on stage claim that it’s an incredible experience. Although the difference between these actors and “normal” people is noticeable in only a more sensitive feeling of each role, there’s more to the story. 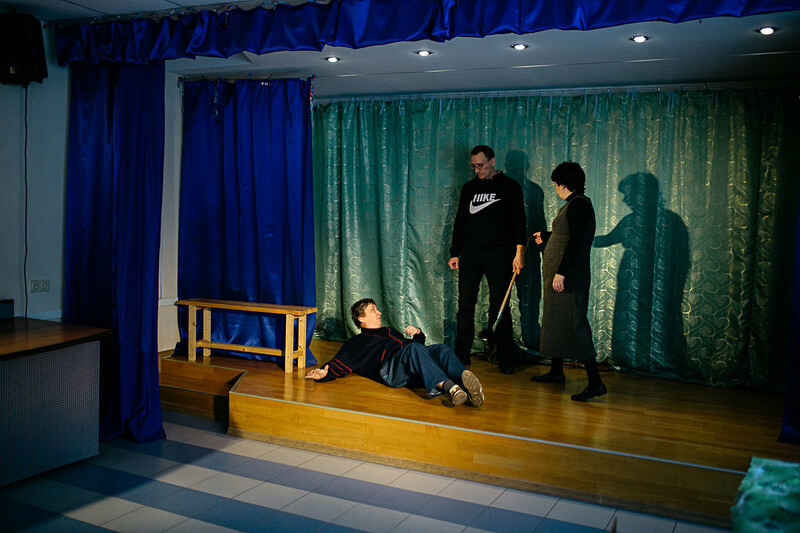 In the Happy Accident art studio at the Samara Psychiatric Hospital (700 miles south of Moscow), they stage positive and cheerful performances because doctors believe that such plays give maximum therapeutic benefit for even those patients with the grimmest diagnosis. In fact, four of the 11 actors at the studio have already left the hospital. 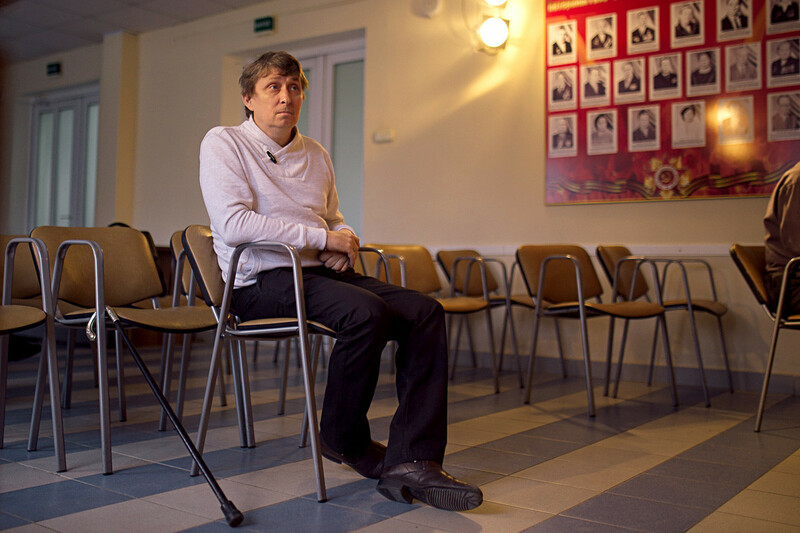 This amazing story began when a famous performer of the Samara Drama Theater, Honored Artist of Russia, Oleg Belov, 49, suffered a severe stroke and was paralyzed on one side. He received disability, but was forced to leave his theater where he had spent 30 years on stage. His future seemed bleak, until one day he was suddenly invited to head an art studio at a local psychiatric hospital. As a person who suffered a debilitating condition, he was the right candidate to work with people who had spent many years inside the hospital walls and lacked social skills, as well as public identities. When Belov started working with patients he suddenly realized that like theatrical actors, they faced problems of constraint. Patients were confused by their diagnoses, and were afraid to communicate with the outside world. Belov understood that an actor’s experience of overcoming oneself can help treat the mentally ill. He often says to his actors: "You are not ashamed when you have the flu. Don't be shy of discussing your mental illness. It’s the same; just a disease. There is nothing shameful and reprehensible about it." In this setting, patients progressively cease to consider themselves outcasts, unfit for life in society. They learn to accept themselves and their peculiarities. Performing on stage helps patients to regain a sense of self-identity and allow themselves to communicate. The drama studio began in 2012 with only three actors, and now there are 11. The performers have managed to stage tales by Alexander Pushkin, Alexander Tvardovsky and Anton Chekhov – in total, six plays. The choice of literature is not accidental. "Doctors say that plays should have more life and be positive because these actors have enough negative things in their life. Moreover, the actors should associate themselves with the characters," says Oleg, adding that if the character is a man then he should be the hero, while the woman should be a lady. 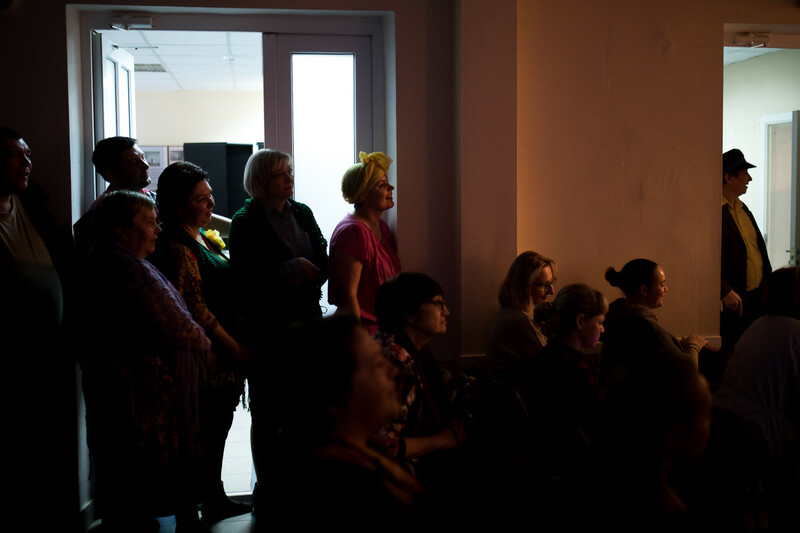 "One of our first plays was Pushkin’s Graf Nulin, where actors change roles and images. We did it, shot it on video and sent it to Moscow for the art festival. Then we were asked about the name of our theater. Suddenly, the artists came up with a name - The Happy Accident - because this case was happy for all of us, including myself: the work with the studio pulled me out of my illness, despite the fact that my left side was not yet well," says Oleg. Unexpectedly, Belov's sincere desire to help others turned out to be that his own disease retreated. After two years of work in the hospital, he was able to return to the stage of the Samara Drama Theater, and still performs there now. Yet, he continues to head the Happy Accident Studio. For Graf Nulin the drama studio received an award at the Ariadne’s Thread Art Rehabilitation Festival. Each actor was given a statuette, and the hospital received a diploma and a new DVD player, but this was not the most important thing. "We do not seek awards, we have other goals," Oleg says. "If at least one person improves after our classes, then this is better than a Golden Mask [the main Russian theater award - eds]." 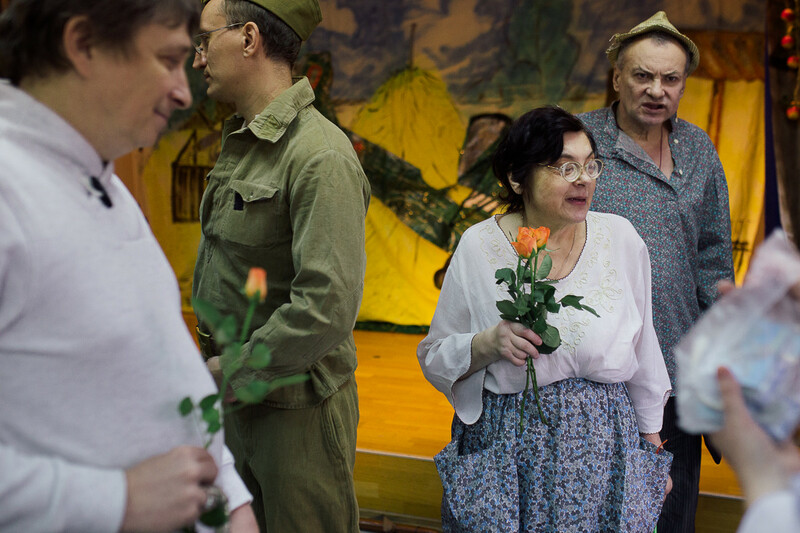 People who are discharged from the hospital can no longer take part in the performances, but sometimes they visit. "One day we had to get on stage, and a performer came to me with the words: ‘I have good news and bad. With which should I start?’ I answered, let's go with the bad. ‘I can't attend the studio anymore,’ he said. And what’s the good news? ‘I'm discharged.’ So these are two good news, I exclaimed!" The studio’s trip to the Moscow festival was paid for by the hospital. Everything happened thanks to the efforts of the chief doctor, Mikhail Scheyfer, who actively develops art therapy in this regional hospital. "Sometimes people spend years here, and it’s difficult for them to return to normal life after treatment. Therefore, the hospital has a large art therapy program. We conduct rehabilitation through painting, dancing and even cooking," says Oleg. Other people also help the studio - for example, Oleg’s friend printed the beautiful scenery, and the Samara Theater gives costumes. Volunteers come here to help with light, sound and organization. Even nurses appear in one of the performances. But the main helper is Oleg’s wife, Galina, who became a stage designer, a costume designer and a producer. Since the hospital is closed to the public, it’s not so easy to see the theater perform. Actors, however, sometimes appear on stage in the city. 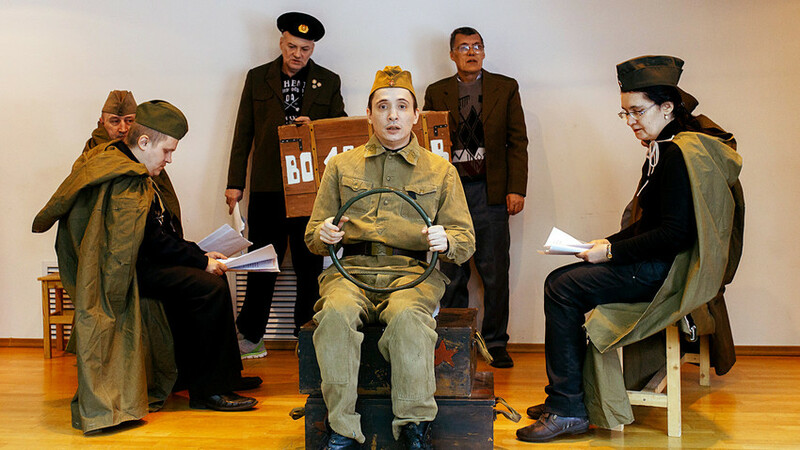 In May, the theater presented its new production for the public, a play based on the stories of Vasily Shukshin. The Happy Accident will take this play to Ariadne’s Thread Festival later this year. Only have 24 or 48 hours in Samara? Here’s what to do!